When Lufthansa recently announced new service between Mexico City and Munich as well as Toronto and Munich, premium class award seats were released on every flight. Even first class, which is normally only released to Star Alliance partners two weeks prior to travel, was made available on the Toronto route. With new routes between Tokyo Haneda and Frankfurt/Munich just loaded into the system, Lufthansa has again released a glut of premium cabin space, including two first class seats on every flight between Frankfurt and Tokyo Haneda. Fuel surcharges diminish the value proposition of these flights if you are using Miles&More, Aeroplan, or ANA points to redeem, but if you are using United miles or US Airways (for Wednesday and Saturday bookings), this deal is incredible. First Class on Lufthansa remains one of my favorite uses of points, but Lufthansa has also released business class seats on both the Munich and Frankfurt flights–perfect for your family vacation next summer if you can book now. Like last time, this space will dry up quickly and likely be gone tomorrow. If you took advantage of the Toronto – Munich first class deal last month using United miles, you can take advantage of the same trick I did–add on segments to and from Haneda for no extra miles! United currently charges 67.5K for a one-way first class ticket between the U.S. and Europe and 67.5K for a one-way first class ticket between the U.S. and Japan. But, United allows a routing via Europe to Japan, so you can modify you existing itinerary to add the extra flights and the mileage required will stay the same. I added HND-FRA to a one-way FRA-YYZ-LAX ticket I had booked and actually received money back, since I no longer had to pay the pricey Germany departure tax since my origination in Germany became just a connection! 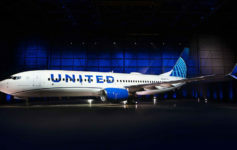 Itineraries like this are one reason why United is devaluing its award chart in February, but that should not stop us from taking advantage of these great deals in the interim. Is LH first class still a no go for DM bookings? I’d love to fly LH at least one way before the new UA chart kicks in, and LH starts to eliminate first on many routes. @Steve: Still a no go. Any tips for me? I am travelling on a First Class Saver ticket and need to fly back from brt to muc one day early. All phone attempts result in “you need to buy a new ticket” answer, as fare non changable…. There won’t be any more first class space left at this point–you’ll need to check and see <15 days in whether saver space has opened. This is the next point in which Lufthansa will release any O-class space.